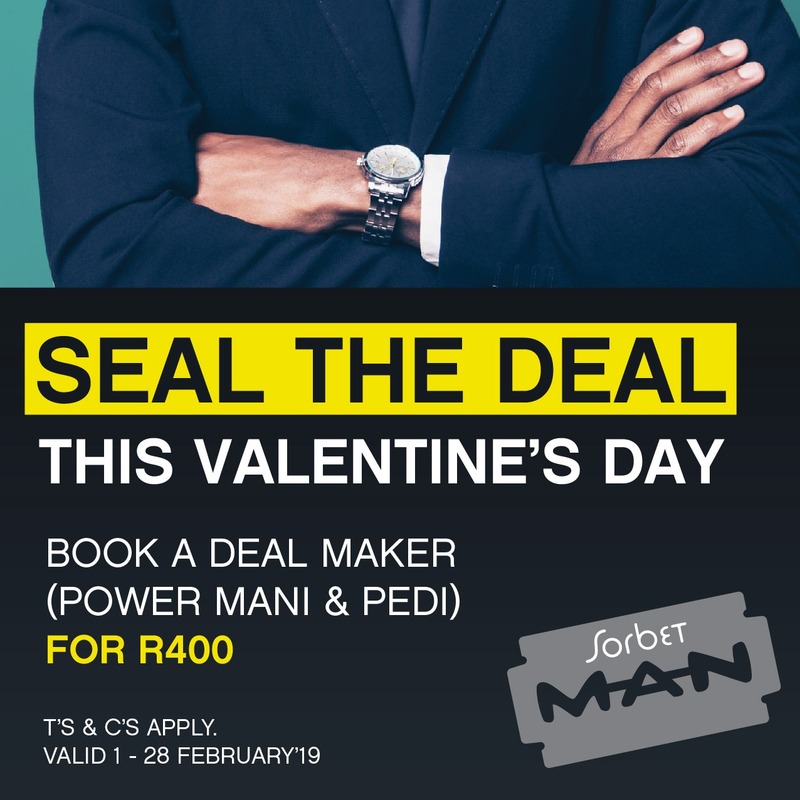 Seal the deal this Valentines Day. 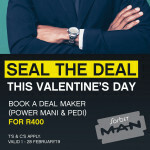 Book a deal maker( Power Mani & Pedi) for R400 . T’s &Cs Apply valid 1 – 28 February ’19.